← What to stash this week: Happy fall, ya’ll! This is the fifth in a series of blog posts featuring the fabulous sponsors of the 2017 Rhinebeck Trunk Show. I often like to get creative by pairing yarns and patterns, and putting colors together, but sometimes it can be much easier to leave it to the professionals: the dyers, designers and the folks at Kitterly. The Los Angeles company, launched by Elizabeth Rowen and Mari Bower in 2015, works with several indie businesses to put together knitting and crochet kits. Indie Untangled regulars they work with include the designers Casapinka and Anne Hanson and dyers Spun Right Round and The Uncommon Thread. How and when did Kitterly get started? Mari was a customer of Liz’s store in Los Angeles, Knit Culture Studio. 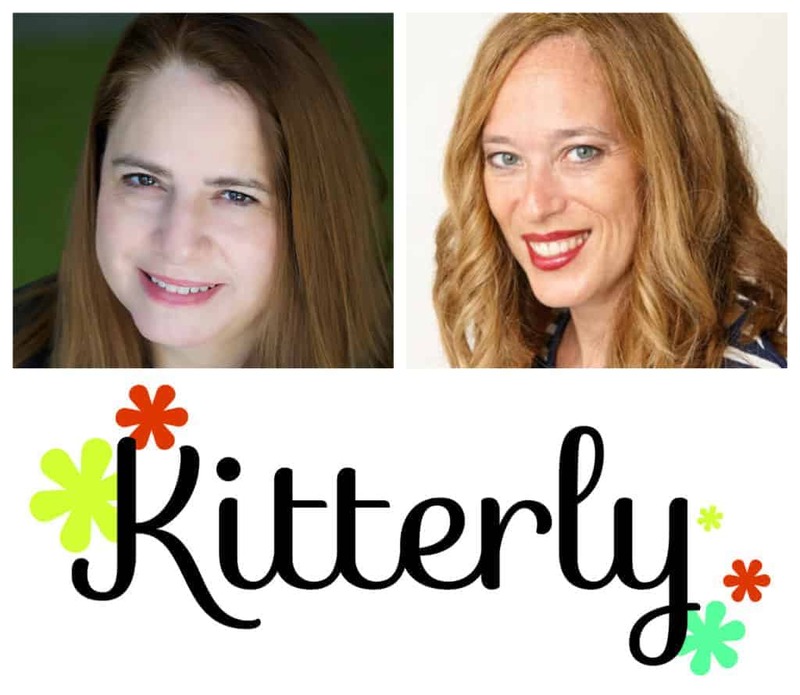 We came together in 2015 to combine Mari’s background in digital media, tech and ecommerce, and Liz’s experience in the fiber community as owner of Knit Culture Studio and create Kitterly as you see it today. 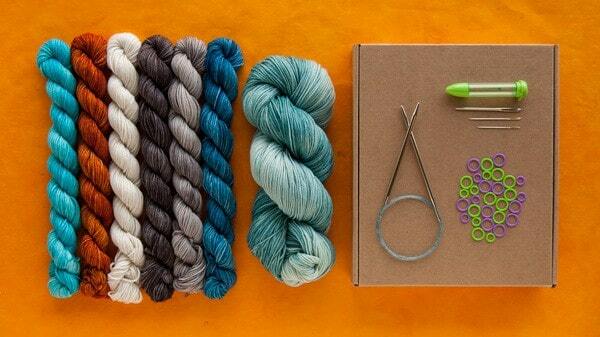 We launched in January 2015, and we have been building our community of amazing designers, dyers and makers, one kit a time! How do you decide on which designs to offer kits for? We like to create a broad mix of styles and skill levels to ensure that we have a perfect selection for our customers to find their next perfect project. We are always coming the Ravelry design charts to find what’s new, but we also find that there is an amazing catalog of perennial favorites to choose from. You will find anything from Andrea Mowry’s latest Fade, to gorgeous classics like Melanie Berg’s Ashburn shawl. It’s been really fun to find something that may have been designed in a yarn that is just no longer available, and revisit it in a new fiber. How do you pair up the yarn, including colors, and patterns? We spend a lot of time researching designs to ensure that we can either offer it in the original yarn (down to the colors if we can), or find the perfect substitute. When we launch a collection with a designer or dyer, there was a considerable amount of time spent on pulling it together to ensure we have the right mix of new, classic and skill level. Once we settle on the collection, we then collectively will select color palettes that we review and even vote on at times. It’s a really fun process, and everyone gets involved! 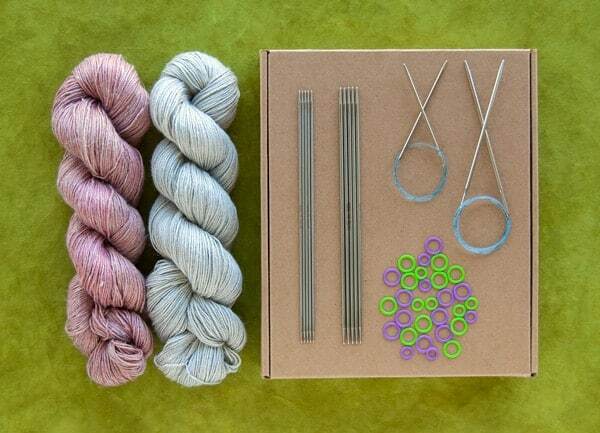 Can you talk about any new dyers or designers you’re planning to work with? Yes! We’re super excited to be adding Anthony Casalena, Carol Feller, Miriam Felton, Asa Tricosa, Christopher Salas, Berangere Cailliau/lilofil, Hanna Maciejewska/Hada Knits, Yellow Cosmo, Lesley Anne Robinson/Knit Graffiti and Bristol Ivy to name a “few”! New dyers coming on board are Stolen Stitches (Carol Feller’s yarn), YarnLove, Hue Loco, Spun Right Round and we hope to begin working with Uschtitia in early 2018. We’re always on the hunt for new dyers and designers! 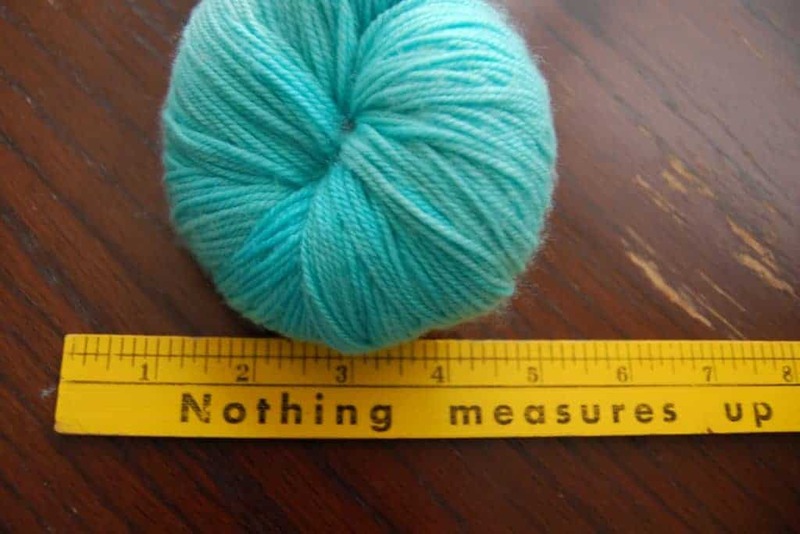 Liz: my grandmother taught me to knit, crochet and sew when I was 7. Mari: I learned around 10 years ago, when my mother-in-law gave me a cute knitting kit set for Christmas. I taught myself how to crochet when I was around 8, since my mom couldn’t figure out how to show me since I’m left handed. Liz: crochet, sewing, quilting, rubber stamping and card making, needlepoint, embroidery. Unfortunately since starting Kitterly I’ve only had time to knit and crochet but I have a fabulous collection of rubber stamps waiting for me! Mari: I’m a serial crafter! I’ve been sewing since I was a small child, and I love to make pretty much anything! I love to cook and bake, and I can my own jam/pickles every summer. I also design jewelry (wire wrapping, beading, even some silversmithing), and I have been known to do some serious home DIY (I installed my own hardwood floors in a previous house). I’ve even done some welding, thanks to high school metal shop! Liz: My spiderweb lace shawl in Jade Sapphire Lacey Lamb — but I’m afraid to wear it. But my two favorites are Andrea Mowry’s FYFHaha and Casapinka’s Sari not Sari! Mari: My Om Shawl by Andrea Mowry. I fell in love with the pattern and had to make it! It was quite the endeavor, as it’s a rather large piece, but it turned out magnificent. Thankfully Fall weather is coming soon, so I can show it off! This entry was posted in Rhinebeck trunk show, Sponsored post and tagged indies, interview, kits, patterns, Q&A, rhinebeck, rhinebeck trunk show, yarn.